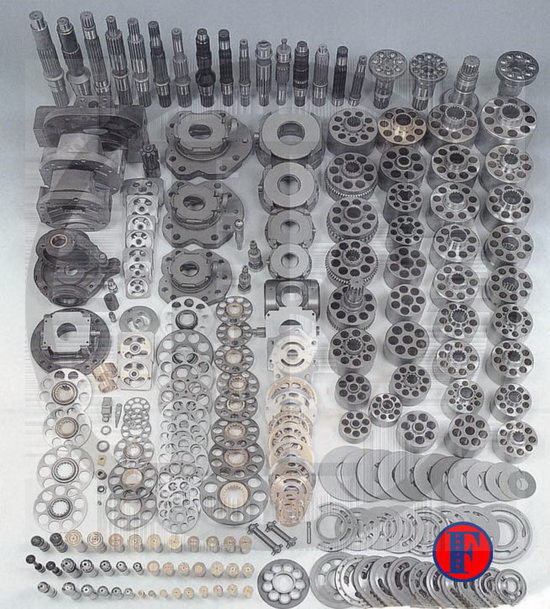 Repair parts for hydraulic piston pumps. Choose from the list below brand pump. Our hydraulic piston pump spare parts fully meet the standard of original parts, which mainly applies to the construction machinery of KOMATSU, HITACHI, Caterpillar, CATO, SUMITOM, DAEWOO, etc and mining machinery of Sauer, Rexroth etc. As well we metallurgic machinery, ceramic machinery, concret mixer, diamond press, hydraulic press and etc. We have biggest maintenance equipments for repairing various pumps and motors at home and abroad.